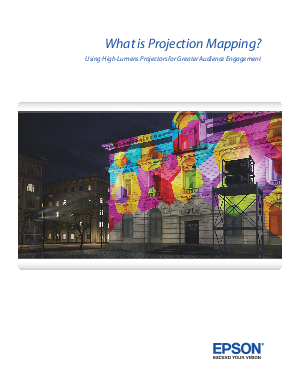 > Epson > What is Projection Mapping? product launches to concert halls. Wherever producers want to bring excitement to the next level, projection mapping plays a key role in emotionally engaging audiences, increasing the “wow” factor, and promoting greater attendance and attention. Learn about some basic techniques that will get you started, plus, the most common hardware, software, and projection that’s being used in today’s applications.